I love my slow cooker! I love it. Love love love love love it. It’s a bit like having a maid, if the maid was you earlier in the day. 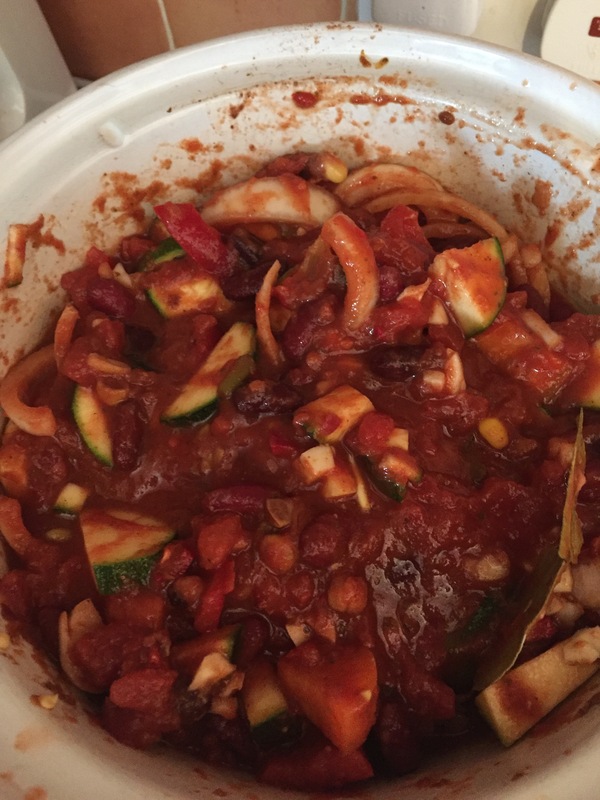 I usually come home at around 8.30pm and there’s no way I would start cooking a healthy meal from scratch then but with my slow cooker my dinner is already there! It makes preparing food so easy too, literally chop it up and throw it in. 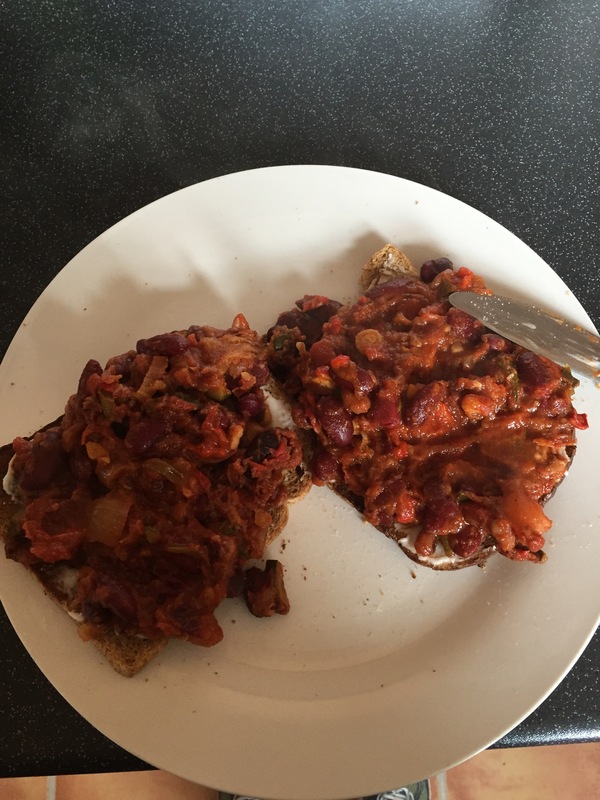 This is my go to chilli recipe. A lot of vegan food can lack umami but with the addition of cacao powder and marmite to the recipe it really packs a punch and leaves you feeling completely satisfied. I find that it’s enough in its own so you don’t need to serve with rice, but you can. Put all in slow cooker in the morning in no particular order, pop on low, go about you day, enjoy in the evening. I like to save some for the next day and eat it cold on toast with a slither Violife creamy vegan cheese, it’s so good! To Pea Or Not To Pea – A serving of Rice and Peas, Vegan Protein Shakes.